The market is hot. Gold prices skyrocketed for reasons that were not important. My prediction that gold prices would fall today was wrong. Gold: The gold price surpassed $ 1312. $ 1320 and $ 1332 will be the resistance lines. At present, it is difficult to know whether gold prices will rise or fall. It is better to wait and see. The silver is relatively weak compared to gold. The resistance lines are $ 15.63 and $ 15.78. The silver price seems hard to rise. There are many experts who say that silver prices will skyrocket. I do not think so. I will hold the sell position and wait for an additional sell opportunity. WTI: The oil market is still unstable. They do not want the oil market to stabilize. The WTI will rise to $ 63.1. Natural gas, unexpectedly, is weak. It would be better to close the position and wait for the next opportunity. Euro: The euro has soared, but it has hit a strong resistance line of 1.1431. 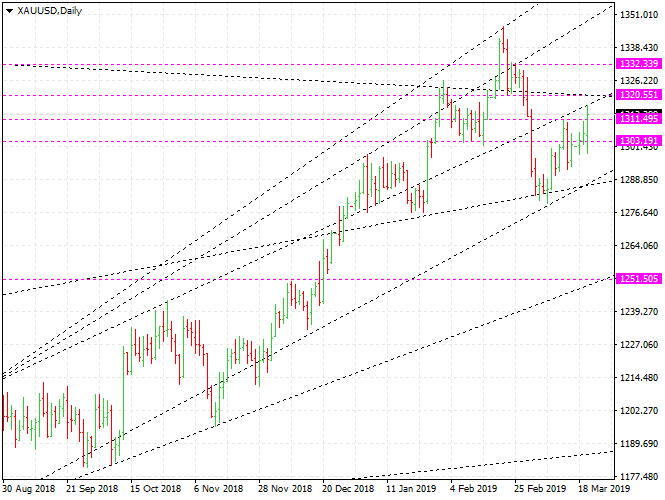 It is not easy for EURUSD to go up. If it rises strongly, it will be able to rise to 1.16. However, there seems to be a risk in buy-trading. SP500: Stock indices are, as expected, weak. The Dow Jones index futures seem to be the weakest. They are likely to decline, at least to 24995. The SP500 is likely to drop to 2738. It would be better to sell Dow Jones than SP500.